LILIT PETROSYAN: Why did you decide to take on producing such an incredibly complex play as “HamletMachine”? 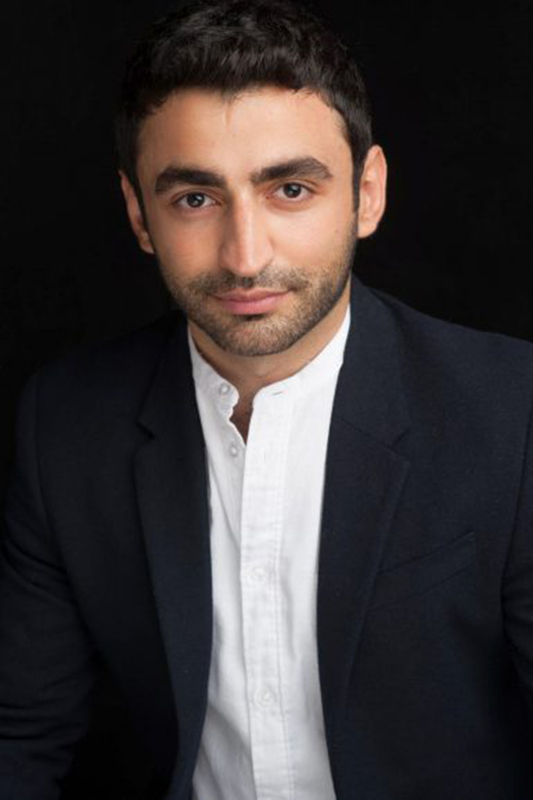 ARTHUR MAKARYAN: I’ve been longing to resume working with Armenian actors, and last summer, when I was visiting Armenia, I got together with an incredibly talented actor, Narek Baghdasaryan and immediately offered him to take part in the play. It is a solo performance, one-person show, a lot of which requires intense physical performance and not so much speaking. Within very short timelines and with the support of Luys Foundation and AGBU, we produced a play that has all credentials to be called a contemporary art, a genre that is still not very popular in Armenia. My team and I wanted to experiment and see what we can achieve in that field. L.P.: What’s the main message of the play that you want to convey to your audience? A.M.: When we say Hamlet, we think of Shakespeare and lengthy elaborate monologues. In this case we have an adaptation of Shakespeare’s Hamlet and Henrikh Muller’s HamletMachine. It’s a play, which essentially is Hamlet’s visit to a psychotherapist, where Hamlet is in an emotional turmoil trying to reevaluate, justify and understand the motives of people who he kills in Shakespeare’s play. Hamlet is presented as a utilitarian who adheres to maximize the good and produce the best consequences possible despite all the circumstances present. This is in direct contrast to Kant’s moral philosophy where all actions are performed in accordance with some underlying principle and duty rather than emotions or end goals. A lot of times, within the Armenian reality as well, the matter of pride and revenge is placed above the ramifications which sometimes can be catastrophic. Diplomacy, fair judgment and the ability to see the bigger picture are the core messages of the play. L.P.: At which festivals have you presented “HamletMachine” so far? A.M.: The play was presented in Armmono International Festival in Yerevan and is now leaving for Russia to be performed at Golden Gates festival in September 23rd at Vladimir Theatre. Later this year, we have performances in Lithuania, Moldova and New York. In New York, we’ll be playing at Theater Row on 42nd Street famous district as part of the United Solo Theater Festival, the world’s largest solo theatre festival in October 24. L.P.: It seems like the message of diplomacy, tolerance, self-criticism and self-reflection runs as a red thread through the other play of yours, Black Garden. Why is that so important to you? distressing extent of an Armenian woman’s trauma who is haunted by the memories of a lost lover. We’ve created the play with an intention to launch a dialogue towards peace between Armenia and Azerbaijan, countries that have been unable to resolve a conflict over the disputed territory for decades. As an Armenian, I have never met an Azeri in my life, yet we are presumed enemies. With this play, we try to bring awareness of the conflict to an international stage and create a platform for a dialogue. L.P.: It’s interesting to note that the author of Black Garden, a play about the Nagorno-Karabakh conflict – a topic which is so incredibly Armenian, is American. How did this happen? A.M.: The author of Black Garden is Gordon Penn, an American playwright who I met during my studies at the Columbia University. Until recently, Gordon knew only the briefest about Armenia. It was until he was managing actors in Los Angeles, where he happened to live in the part of Hollywood called Little Armenia that things changed. Moreover, we have quite an international team working on this two-handed play, Tamara Sevunts, a Canadian-Armenian actress from Montreal and Alex Marz, an American actor. L.P.: Where are you presenting the play in the nearest future? 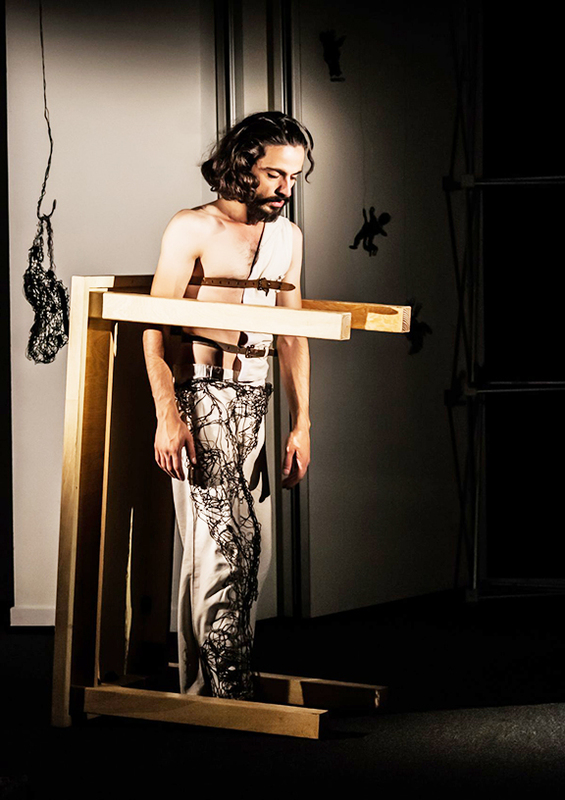 A.M.: Black Garden is among the official selections of the Pleins Feux festival in Paris at the Théâtre de l’Opprimé (Theater of the Oppressed) and will be performed 5 times between September 5-9. We are delighted to be part of a program that includes companies emerging from Strasbourg National Theatre, National Conservatory of Paris, l’ENSATT de Lyon. A lot of big names are presented in this festival and it’s our biggest honor to perform amongst them, especially with the production of Black Garden. L.P.: With the new political reality in Armenia, what are your immediate plans with Armenia? A.M.: I know one thing for a fact – you can never sit and wait for someone to give you an opportunity. You should come up with your own initiatives, and the new realities in Armenia motivate you to do so. Currently I am thinking about new projects and I would love to work with the National Theater of Armenia and the National Opera and Ballet Theater as the new directions are extremely progressive and supportive of producing new plays and operas. I’d love to have an input into the development of the Armenian theater. Additionally, I’ve been thinking about starting an English Speaking performance series in Armenia which would not only make the international language more scalable across the country, bring the tourists to see Armenian theater but will also give an opportunity to perform plays in their original language. As part of that project, I am also trying to launch a play translation project to translate Armenian plays into English. This will multiply our chances to be presented on the international stage and make our message more accessible and relatable.